White Fire Cocoon: Very cleansing and purifying . It stabilizes a person's energy system and gives it an overall boost. Awakens creativity. It can be used to correct a negative self image, lack of imagination, and an inability to initiate new things. White fire contains all the colors of sacred fire. White Fire has been called the ascension flame, the white light of the Mother. White Fire generates the vibration of purity and harmony. Gabriel, the Archangel of Revelation, is in charge of the White Fire. White Fire can help you to understand God’s messages that clears away confusion, make the right life choices, and obtain the confidence you need to act on those choices including communicating your choices effectively to other people. When you use White Fire, you should visualize the kind of person you wish to become. 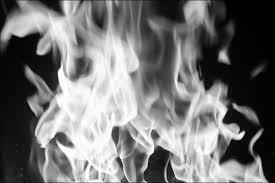 White Fire burns away addiction, negative attitudes (such as arrogance or shame) or unhealthy habits (such as spending too much money and getting into debt or gossiping about others) that are slowing down your spiritual growth. White Fire has the ability to help you develop the communication skills you need to speak, write, and listen successfully. The result is that your personal relationships and your work on the job gets better because you can better understand what people are trying to communicate to you and they can better understand you . If you’re working on an artistic project, White Fire can motivate you to create something that resonates in people’s souls when they see it. If you’re trying to become a better parent, White Fire can bring in the wisdom and strength that you need to have to raise your children well. The power of White Fire changed dramtically in 2015. During the Final Blood Moon on September 27, 2015 all the awakened Atlantean Temples within the "Head of the Dove" were connected vertically and horizontally. This event formed one South Texas-Mexico-Central America energetic current . This is called the "Head of the Dove Power Shift". This new energetic current that was formed by the power shift is called the Head of the Dove Leyline and has opened Stargates along its path from South Texas to Central America . This new leyline is carrying an upgraded form of White Fire Energy that once existed in Atlantis called Mahatma. The Stargates located on the Head of the Dove Leyline are distributing this Mahatma energy across the planet and the energy is collecting in the Unity Grid were you can tap into it . Mahatma energy became available to us as a result of prayers of humanity, through Divine Dispensation, during the Harmonic Convergence in 1987. Mahatma energy was created in Atlantis. During Atlantis’s Golden Age, many Ascended Masters and Christ Conscious ET’s sent their energy into a sacred pool. Mahatma energy is different from Reiki energy or Christ Consciousness energy. Reiki, the Universal Life Force Energy is called "Christ Consciousness energy". This is a personal energy, a personal realization, "I am One with the God Force." "I am Godling”. This is Stage One of Ascension Process. After you become "Christ Consciousness' you can receive 'The Mahatma Consciousness or God Conscious". The Mahatma Energy uses the energy from the I AM Presence. It is one step beyond Christ Consciousness that realizes that all life is interconnected. Its the step beyond the thinking that you are a part of the whole. It is the realization that you are the Whole, you are the Earth, you are Jesus Christ, you are God. The Tibetan Lamas and the tribes in the Serra Nevada know this and they show it by how they care for the Planet. We are not all connected we are one. You understand the "Force of One" . None of us are going to ascended unless all of us ascended. What ever I do to you I do to my self. Your inner self becomes your outer self and your outer self becomes your inner self. You become "community service oriented" and use the awareness to assist other. Mahatma energy is White Gold in colour and when we call it in, it flows through our physical, emotional, mental and spiritual bodies through our physical aura, and then into the Earth. Using this energy is the most effective way of balancing and re-energizing our glands. Our glands keep us youthful and sexually alive, keep out immune system healthy and our metabolism balanced. It works on our glands, healing, balancing and re- energizing them. It is particularly beneficial for the pituitary gland, to re-energize and rejuvenate our hormones. Our glands are a very important mechanism of our body and keep us youthful, balance, alive, keep our immune system healthy and our metabolism balanced. Metatron is the angel who oversees Mahatma white gold fire. His name means either "one who guards" or "one serves behind [God’s] throne." Archangel Metatron is known as the angel of life. He guards the Tree of Life and writes down the good deeds people do on Earth, as well as what happens in heaven, in the Book of Life (also known as the Akashic Records). Metatron is traditionally considered to be the spiritual brother of archangel Sandalphon, and both were humans on Earth before ascending to heaven as angels (Metatron is said to have lived as the prophet Enoch, and Sandalphon as the prophet Elijah).